Part of RAF Feltwell's history, which has passed into legend , happened on the night of the 7 th July 1941. Squadron Leader Widdowson and his Wellington crew were attacked over the Zuyder Zee by a Me110 night Fighter. 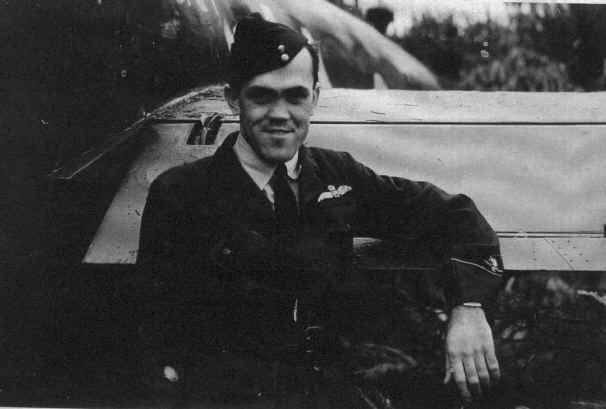 Sgt Jimmy Ward, the second Pilot, climbed out of the aircraft, whilst it was still in flight, and attempted to fight the fire with an engine cover. Subsequently, Sgt Ward was awarded the Victoria Cross for his bravery. Squadron Leader Widdowson, the Pilot, and Sgt Box, the rear gunner were awarded the DFC and DFM respectively. The attack made by the German night fighter was not uncommon. It was part of the increasing menace of the "Kamhuber" line of defences made to protect the German Reich. However, night after night, the Wellingtons of No 3 group, would leave their Stations in small groups and carry the only war we were capable of fighting, to the enemy. This story takes place on the night of the 12th August 1941, just over a month after Jimmy Ward had been awarded his VC. The attack against Hanover on the 12th August 1941 was to be Pilot Officer Hughie Roberts, and his crews last trip of their tour. Nine Wellington aircraft of No. 75(NZ) Squadron, RAF Feltwell, were to attack the docks at Hanover. Takeoff time was set at 21:00 hours, with most of the aircraft losing sight of each other shortly after leaving the Station. The weather for the operation was not good. The crews encountered thunderstorms on the outward journey, and when they arrived over the target it was obscured by haze. On the run up, they faced the "usual" barrage of searchlight guided Flak. To this point it was a normal trip, or as normal as these thing can ever be said to be. It was on the return to their Station that the mission became much more interesting. Sgt "Mick" Strickland the Wellingtons Wireless operator/Air gunner, sitting near his wireless, had just started to bring his logbook up to date. The Wimpy was flying over the Zuyder Zee. Suddenly the canvas of the Wellington erupted with cannon fire from a night fighter. There were sparks as the shells hit the structure of the aircraft. Almost at the same moment Sgt Paul Faguy, the Canadian rear gunner, opened up on the attacking Me 110, shouting instructions for evasive action to the skipper, over the intercom. Mick said, "I felt a warm stickiness spreading from the top of my battle dress, and running down my leg". Seconds seemed like hours as he checked to see how badly he was wounded. Shock turned into heart felt relief , "suddenly I realised that a cannon shell had pierced my coffee flask and that it was only warm coffee, running down my uniform!" Paul beat off the attack, the enemy aircraft was seen to dive away, trailing smoke. But the Wellington had sustained quite serious damage. The hydraulic system was badly damaged and they had lost some fuel. It was decided that they would try for home, Pilot Officer Roberts ran the engines on lean mixture and they set course for England. Seven hours after they had taken off, they were on the approach for Feltwell. Last minute checks revealed that they might not be able to lower the undercarriage. Sgt Strickland called up the Station and asked for permission to land, but given the uncertainty about the aircraft they were diverted, at the last moment, to Newmarket Heath. Turning out of the circuit, the Wellington passed over the village of Weeting. There was a lot to do, they would soon arrive at the emergency landing ground. P/O Roberts called Mick up over the intercom and asked him to see if he could get the undercarriage down with the hand pump. Suddenly, both of the aircraft’s engines cut, the petrol had completely run out. At just under 1000 feet Hughie Roberts sounded the alarm and gave the order to bail out! Paul Faguy traversed the rear turret and pushed himself out backwards through the rear doors. The rest of the crew donned their parachutes, opened the emergency hatches and left the aircraft. Meanwhile, Sgt Strickland had unplugged himself from the intercom and had not heard the order. It was only when Sgt Smith, the second pilot, was leaving, that he noticed Mick, still trying to get the undercarriage down and said, "Bail out, we are crashing!". Both men quickly put on their parachutes and left the plane. Waiting for the crew to leave the aircraft, Pilot officer Roberts had left it too late. The aircraft was, by this time, too low for him to make good his escape. He remained in his seat, in control of a dead aircraft, pointed towards the Forestry Commission plantations between Weeting and Santon Downham. The aircraft was suddenly very quiet, just the noise of the air hissing over the wings. With the loss of hydraulic pressure, the bomb bay doors gradually opened. In the distance, Hughie could just make out a track between the trees. He held the aircraft off as long as he could, and then let it drop down onto a plantation of young firs. 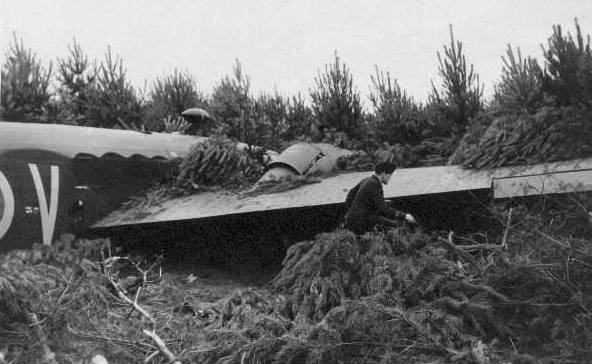 The trees rushed in through the open bomb bay doors and burst through into the inside of the aircraft. Suddenly, the aircraft was stationary, it had stopped level and straight! Switches off, P/O Roberts left the aircraft without further delay. He walked along the forest track, which he had spotted earlier, for about 100 yards, when he ran into an Army patrol. Orders, they say, are orders. This Army patrol had orders to arrest anyone found within their area without permission. 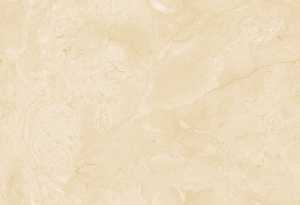 There followed, what may be called, an enlivened discussion, (I don’t think I mentioned that Pilot Officer Roberts is an Australian). Hughie was very concerned about the fate of his crew. The patrol agreed that they would send men to look for them but persisted in that he would have to be placed under some sort of arrest. In the end, a compromise was reached and Pilot Officer Roberts was held under house arrest, while his particulars were checked, at the Ram Hotel, Brandon. I understand that they marked the occasion by opening the bar. This is how it came to pass, half an hour after one of the more exciting episodes of his life, that Pilot Officer Hughie Roberts, (Australian), came to be drinking beer in the bar of the Ram Hotel. The rest of the crew had not fared nearly as well as Hughie. Sgt Faguy, had landed amongst some mature pine trees and had broken his ankle. The remainder of the crew landed through tree branches, into gorse and brambles. Sgt Strickland said, "The worst thing was that all parts of the Forestry look alike we had no idea where we were or what direction we should go in". It took some hours to find civilisation again. Paul Faguy had to undergo one last adventure. 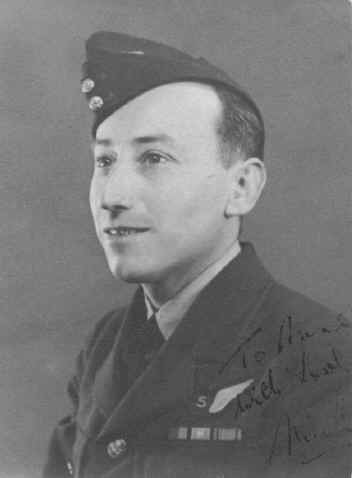 He had met up with Pilot Officer Bere, the aircraft’s navigator. They found a forestry cottage, near Emily’s Wood on the Mundford road. When they knocked on the door, an upstairs window opened and a shotgun was pointed at them. They were told to "clear off"! Eventually they were able to explain their situation and they were offered help. The delivery boy, for the Brandon co-op lodged with the forester and it was agreed that they could borrow his delivery bike. P/O Bere pedalled his way slowly towards Brandon with Sgt Paul Faguy in the front basket. The next day, Sgt Paul Faguy, was sent to the RAF Hospital at Littleport, to have his bones mended. The rest of the crew went back to the Wellington to collect their belongings. It was crammed full of broken trees. Soon afterwards they were all posted to different units. The trip to Hanover had been their 34th Op. and it was the last time that they ever flew together as a crew. 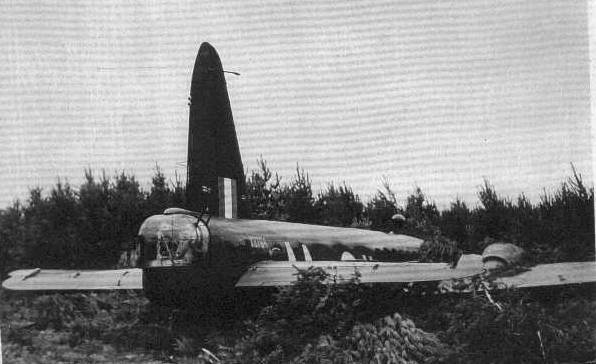 The Wellington was deemed to be repairable, it was taken back to Vickers and rebuilt. Giving good service it was eventually shot down over Germany. On that occasion, none of the airmen on board managed to escape. According to German combat reports, the attack was made on their aircraft at 00:49 hours by FW. Ernst Kalinowski a pilot with 6.NJG1 (Night Fighters). His aircraft had been undamaged in the exchange of fire. In 1999, all the crew of the Wellington was still alive. They had served with the RAF throughout the whole of the Second World War. I can only state that their bravery and dedication to service was second to none. They, of course, will have none of this. 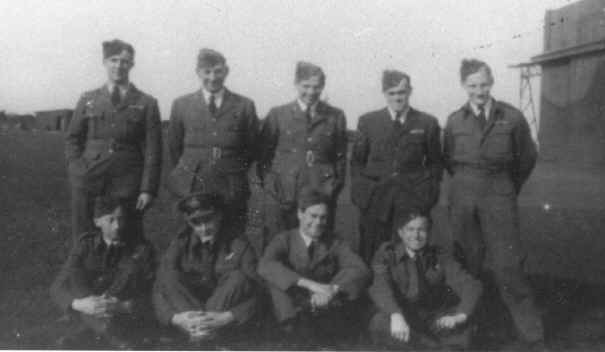 They would only say that they were typical of the crews that served with 75(NZ) Squadron.